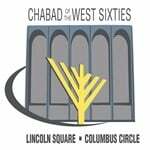 Monday, October 22 at 10am - Join Raizy Metzger of Chabad Beekman Sutton & Faya Lipskier of Chabad West Sixties for a fun tour of vibrant Chassidic Crown Heights and lunch at Basil. Meet 10am at the 72nd street 3 downtown subway. Email for more info. Wednesday, Oct 24th at 8pm. Cuz we all need some TLC. A challah class with a twist. Toasts, Loaves and a night out with the girls. At a private home in the West Sixties.